Get your Satellite phone rental here today. Available by the week, month or year. Globalstar, Iridium & Inmarsat rentals available. 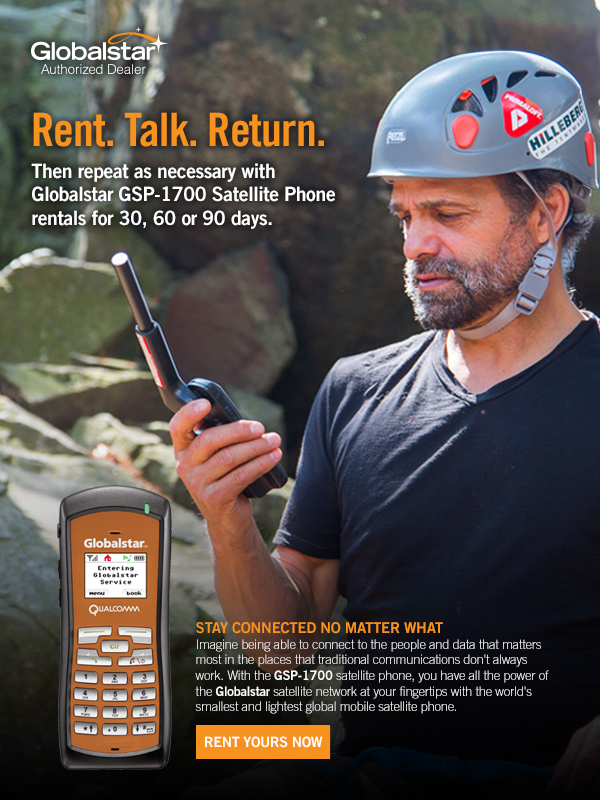 Globalstar has US based telephone numbers with local coverage in US, Canada & Caribbean. Inmarsat coverage is world wide with international based telephone numbers and the same rate anywhere on the globe. Iridium packages includes extra battery, external antenna all enclosed in plastic carry case.